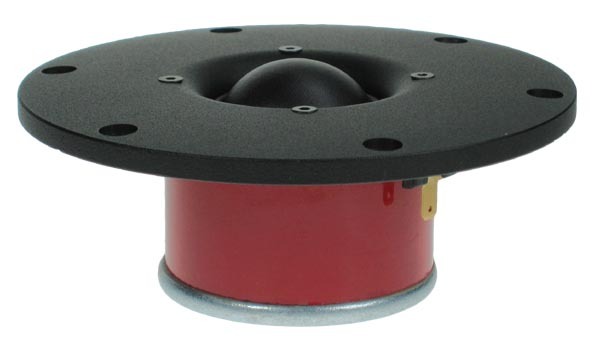 The Exotic T35 is a classic dome midrange tweeter with high sensitivity and a smooth, extended frequency response. A coated fabric dome with integral surround manufactured by Dr. K. Müller in Germany ensures excellent performance and consistency. This supplier was among the first in the world to offer fabric dome diaphragms, and did produce the diaphragm for the famous 1.5” Dome Tweeter H087, developed by Seas in 1968. A high efficiency Alnico V ring magnet in a carefully designed system contributes to high sensitivity and low distortion. A large and well damped cavity in the pole ensures a low resonance frequency and smooth response. 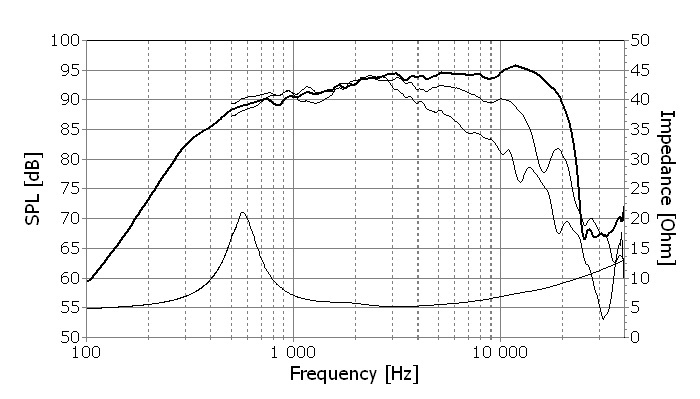 A generously underhung 35mm voice coil wound from copper-clad aluminum wire further enhances the sensitivity. Flexible lead-out wires and venting holes in the aluminum coil former help reduce noise to a minimum. 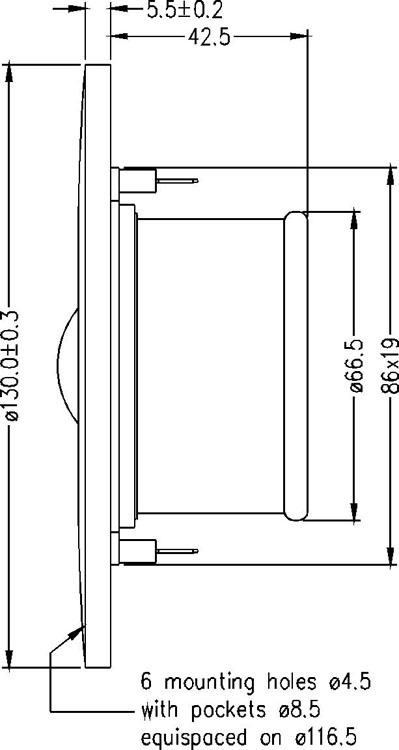 A large diameter 7mm thick precision machined aluminum front plate with moderate horn loading ensures linear frequency response and represents an extremely stable platform for the magnet system and the moving parts.